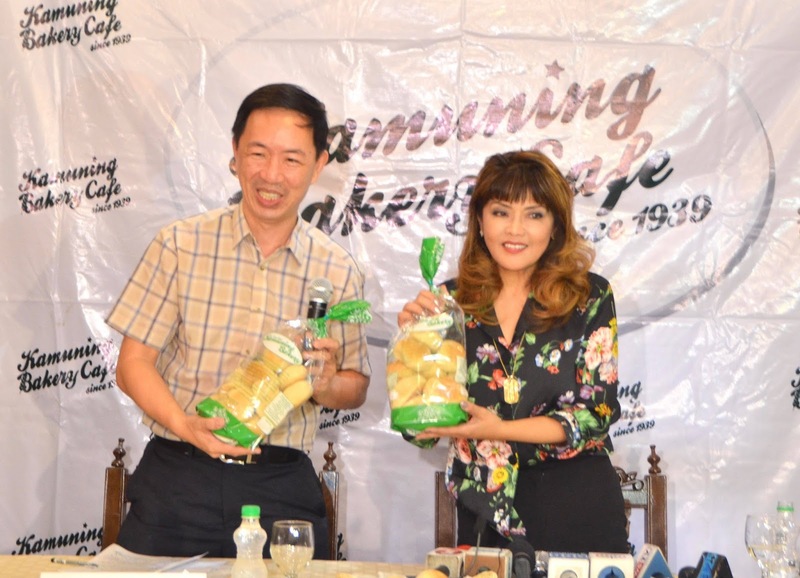 Ilocos Norte Governor Imee Marcos confirmed to media that she’s thinking of running for the Senate in 2019 but is still now “50/50” on this decision until final consultations with her mother Congresswoman Imelda Romualdez Marcos and other kin, she said this at Kamuning Bakery Café’s non-partisan Pandesal Forum. Despite the Feb. 6 fire which burned down Quezon City’s pioneer, iconic, 79-year-old Kamuning Bakery Café, the previously scheduled forum with media proceeded at a temporary venue. Governor Marcos expressed her strong support for “the successful socio-economic, foreign policy and political reforms of President Rody R. Duterte” which she said have sustained, fast and more inclusive Philippine economic growth. One of the tangible benefits of the country’s robust economic growth is booming tourism not only nationwide, but also to Ilocos Norte such as the arrivals of Star Cruise tourist groups and others enjoying the historic, cultural and numerous unique eco-tourism wonders of Ilocos Norte province. Governor Imee Marcos announced also that Ilocos Norte has launched their year-long celebration of the bicentennial or 200th anniversary celebration of the creation of the province starting in February 2018. She welcomes more tourists and investors to visit their province. In response to recent problems of Boracay, Governor Marcos said that her province of Ilocos Norte recognizes that it cannot accommodate many millions of mass tourists yearly but would prefer to cater to manageable numbers of tourists in order to enhance the ecology, nature, sustainability, and beauty of the province. Governor Imee Marcos lamented the delays in the on-going election protest case of her younger brother former Senator Bongbong Marcos and expects a recount of provincial votes in Camarines Sur to start soon. When asked if her running for the Senate in 2019 is due to their efforts to rehabilitate the legacy of their father the late President Ferdinand Edralin Marcos, Governor Imee Marcos said that her possible running or the vice-presidential bid of Bongbong Marcos, all that have nothing to do with their father’s legacy. She stressed that President Marcos’ legacy can stand on its own based on his solid accomplishments in massive infrastructures, socio-economic welfare programs, a more independent foreign policy of the Philippines befriending all the world’s big powers, etc., and that nothing they---his children---shall do or not do, can change his legacy for future historians and future generations to judge dispassionately and objectively. Governor Imee Marcos added that her family has endured 32 years of criticisms by critics and political foes on the alleged wrongs of their father’s administration, but they are also gratified that more people---especially millenials and the youth---are also giving due recognition to the numerous contributions of President Marcos to nation-building and development. When asked why at the Panagbenga Festival, she and former Senator Bongbong Marcos were allegedly campaigning there, she said some critics are exaggerating the issue, but she and her brother were grateful for the warm welcome of Baguio people and they were very touched to witness that there’s still the “Solid North” unity of many Ilocano people. On the Marcos wealth issue, Governor Imee Marcos said that there is nothing concrete yet on this issue, but she hopes that proper representatives from their family and the government can thresh out something during the term of President Duterte, because she and her family trust that Duterte shall be sincere and capable in putting to good use for the public welfare whatever money to be returned. In reply to questions, she said she still had no idea the exact amount of money to be negotiated. On what her top priorities shall be as possible Senator, Governor Imee Marcos cited these top 3 advocacies---First, the construction of better, modern nationwide and provincial public transportation systems to benefit rural development and economic development; Second, ensuring cheaper consumer prices and putting in place social safety nets for ordinary and poor families to protect them from high prives; Third, reforms to create millions of new jobs. She said that her advocacies mainly support the progressive, pro-people and comprehensive reforms by the strong-willed President Duterte. She urged all leaders and citizens to unite in supporting the government’s reform efforts. 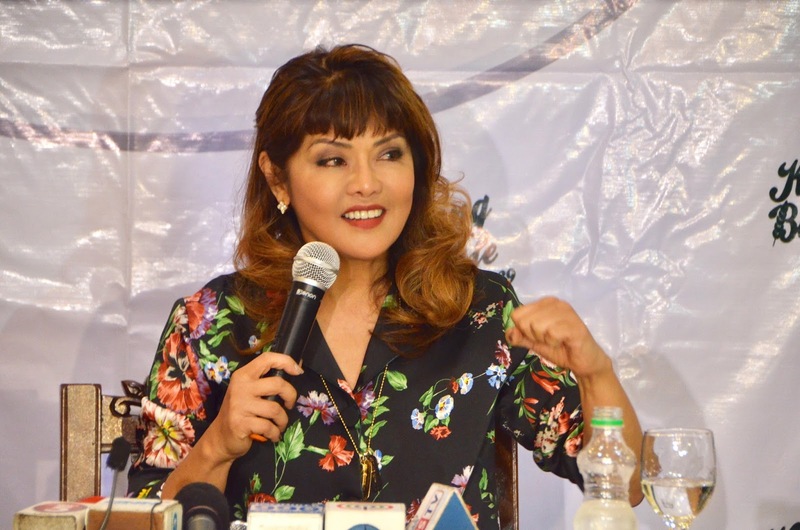 On the recent controversy about the new Bagani TV series of ABS CBN, Governor Imee Marcos said she and Ilocos Norte province enthusiastically support “this beautiful, well-made, and interesting TV series” which was set and shot in the natural locations of their province. She believes this project doesn’t dis respe3ct our cultural minorities or indigenous peoples. Governor Imee Marcos encouraged the public to watch this new TV series, also congratulating Liza Soberano, Enrique Gil, Matteo Guidecilli, Sofia Andres and others behind the project for their good talents, their creativity, and professionalism. Herself a former movie producer, head of the Experimental Cinema of the Philippines (ECP) and producer of classic Filipino films like Nora Aunor’s multi-awarded “Himala”, Governor Imee Marcos said she is thinking of again going into movie production to boost support for Philippine cinema and arts. She also welcomed local and international film producers and others to continue using the beautiful and “lucky” Ilocos Norte province as location for their projects, citing the box office successes and critical acclaim of many movie and TV projects shot there through the decades.